Is the world gearing up for ‘Cold War: The Sequel’? Today, the escalation of geopolitical tensions is fuelling local conflicts across the globe, much like during the Cold War era. Tensions in 2017 between Washington and Moscow can certainly be comparted to the political strain during the Cold War, and experts say Russia and the West need to find common ground to avoid a new conflict. "The language of politicians and the top-level military personnel is becoming increasingly militant. Military doctrines are formulated increasingly harshly. […] all the indications of a Cold War are there." Noise coming from the U.S. and Russia has indeed become less restrained and the countries’ leaders increasingly talk about diminishing trust. 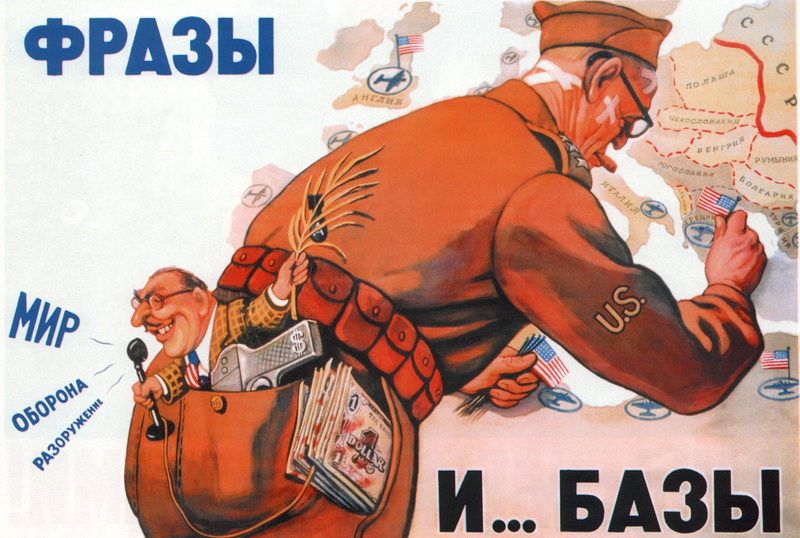 Although experts point to disquieting parallels with the Cold War, worryingly many believe that the present situation between Washington and Moscow is on far shakier ground than it was during to the Cold War. Today, the escalation of geopolitical tensions is fuelling local conflicts across the globe, much like during the Cold War era. War in Syria and Ukraine are contemporary examples of this. But even in the situation where distrust between Russia and the U.S. is growing, the absence of ideological confrontation precludes experts to seriously speak about the return of the Cold War. "The big difference is that then the two worlds were largely insulated from each other, whereas now […] they have in many ways internalized the same worldview," says Mark Galeotti, as senior researcher at the Institute of International Relations Prague. Despite some signs being prematurely interpreted as omens of a new Cold War, the current state of affairs is not the same as it was during the second half of the 20th century. How does the Soviet past affect Russia's relations with the world? A shared world view and the absence of common ideological struggle, however, are not the only differences that separate the new era from the Cold War. "The two countries are still the world’s largest nuclear powers, but hard military power has retreated in importance in the last three decades," says Boris Stremlin, a professor of International Relations and expert in Cold War history. "The gross power level of the two sides is no longer commensurable, but more importantly, there are many more players in today’s international system that cannot effectively be disciplined by either side," says Stremlin. In other words, Russia and the U.S. cannot effectively solve international problems without involving other players of global and regional influence. The era of tête-à-tête decision-making evaporated with the collapse of the Soviet Union, and successful crisis management today requires the inclusion of all stakeholders. This feature generates so much unpredictability and risk in contemporary politics that people unwittingly turn to a more stable Cold War-like era in search for a foothold, or a reference point, experts say. "The irony of the situation is that although the West has fallen back on Cold War stereotypes as a way to portray Russia as a threat, the Cold War as a concept is also a palliative for finding reference points in a world that is today a lot more confusing, fluid, and difficult to comprehend," says Anton Fedyashin, director of the Carmel Institute of Russian Culture and History at the American University in Washington D.C. In today's world, where the threat of terrorism is ever-present, "Cold War bipolarity now seems like a period of relative stability with an enemy that was identifiable and approachable through diplomacy. Today's conflicts are much more open-ended," says Fedyashin. Despite the aggressive "Cold War" rhetoric, America and the USSR "were in substantial agreement about how to collectively manage the world. Today, the main reason behind the return of the conflict is that nobody is clear on how the management of the world can continue, and this leads to tensions," continues Stremlin. Whether world leaders will need an equivalent of the Cuban Missile Crisis, as Fedor Lukyanov wonders (in Russian), in order to start building a new system of crisis management – and possibly of international collaboration – is one of today’s most pressing questions that harks back to the Cold War era, and yet differs so much. But while scholars are talking about the need to cooperate, politicians, it seems, continue living in the Cold War 2.0.